It's a known fact that our bodies need fat to survive. Although we're told to stay away from fats, the human brain literally cannot function without fatty acids. The true key to staying healthy is to choose the right fats. One example of them is MCT's. 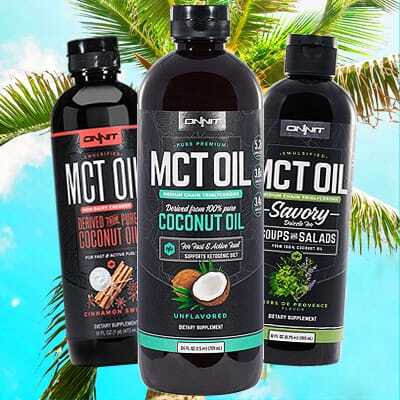 MCT oil is one of the fastest and most powerful sources of clean fuel for your body and brain. 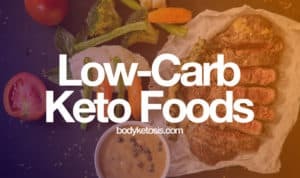 Thanks to its form, your body needs to work less in order to convert it into caloric energy. It is like a rocket fuel for your body. 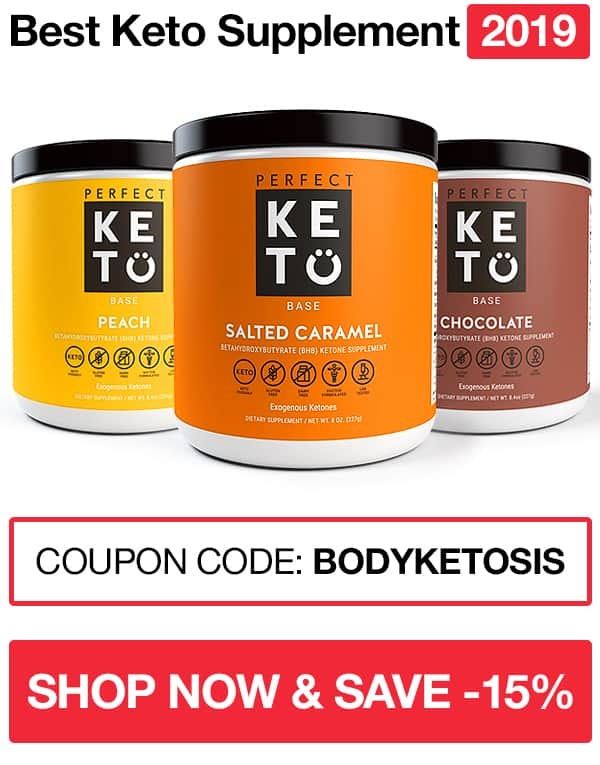 MCT oil will help you maintain a healthy weight, reduce stored body fat, improve cognitive performance and help you get into ketosis faster. Emulsified version tastes super good. 28% of Lauric acid and no palm oil. The Onnit MCT oil might just be one of the best MCT oils out there. It's important to remember that your body needs enough high-quality fat each day. Onnit products are definitely high-quality and worth considering when you are in the market for MCT oils. We suggest you give this product a try, we believe you will not regret it. What is Onnit MCT oil? Onnit is a well-known brand in the fitness industry. Onnit MCT oil is a high-quality oil, derived from pure coconut oil. 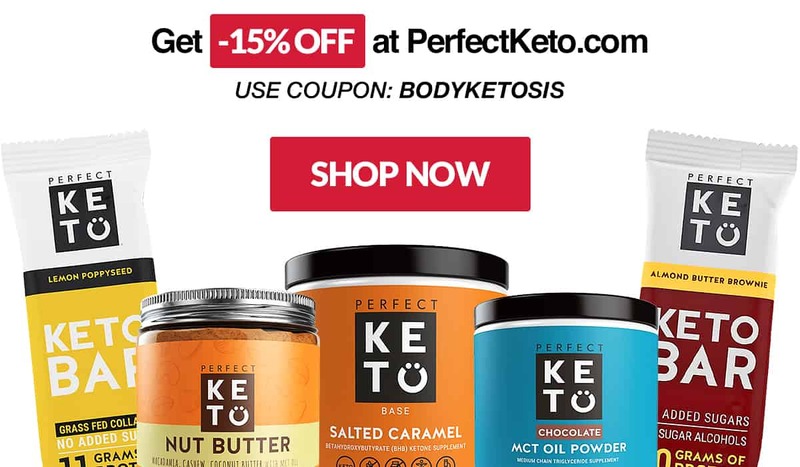 It is a perfect exogenous ketone product for anyone who needs some variety and doesn't have the stomach for regular MCT oil. This MCT oil mixes perfectly with beverages like coffee and your morning shakes. The biggest strength of the Onnit MCT oil is its ability to satiate the appetite. MCT oil is often used with morning coffee and it helps to work through the day without experiencing hunger or dropdown in energy levels. Another big benefit is the taste. While MCT products often taste like death, the Onnit MCT oil matches well with whatever beverage you put it in. It also mixes very well. When it comes to negative sides of the Onnit MCT oil, then the good news is that there isn't much of it. 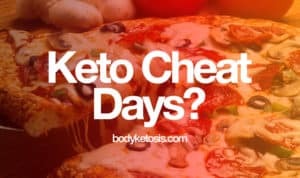 But the bad news is that some people have reported day altering gastrointestinal distress like bloating, abdominal distention or diarrhea. Which is also a common potential side effect of all the MCT products. Especially when taken the wrong way - too much, too often. Whats the difference between MCT oil and Emulsified MCT oil? Okay, Onnit MCT oil comes in two flavors: Standard MCT oil and Emulsified MCT oil. Both are awesome and work the same but they are somewhat different. Standard Onnit MCT oil is processed 100% pure coconut oil, with no frills. All clean energy whenever you need it. Onnit Emulsified MCT oil, on the other hand, is a more concentrated and flavored option. Meaning, its perfect to add it to beverages, shakes and have the specific taste masked. Emulsified Onnit MCT oil comes in five flavors: cinnamon swirl, pumpkin spice, creamy coconut, creamy vanilla and creamy strawberry. Definitely one of the strongest arguments of the Onnit MCT oil is its ingredients. The MCT is harvested from 100% of coconuts, unlike many other brands, who harvest MCT's from palm oil. MCT oils which are harvested from palm oil is much cheaper, environmentally harmful and consider not as high quality. You probably have also heard that palm oil is one of the worst ingredients out there when it comes to protecting planet earth. Palm oil is often the main cause of deforestation, which in turn causes deaths of countless species and plants. Thankfully, Onnit cares about the earth. The one thing that really sets Onnit MCT oil apart from competitors is the presence of Lauric Acid. Because they use pure coconut oil, the Onnit MCT oil also consists of around 30% Lauric Acid. Why is it so important? 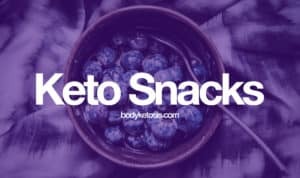 This acid will act as a slower burning fuel source helping you to feel fuller for longer and satiate your appetite. As a dietary supplement, take 1 tablespoon (15mL) 1 to 4 times a day. You can mix Onnit MCT oil into smoothies, protein shakes or boosts your day with homemade bulletproof coffee. MCT oil can also be used as a side-dressing for salads, sauces, and other foods. PS! It is not recommended to use Onnit MCT oil for cooking, because of its low boiling point. This is a great product. I have added it to my morning cocktail (water, Himalayan sea salt, lemon juice, and MCT oil). Great start to my day. Had a small issue last order, bottle opened / cracked. No worries, Onnit was on it. New bottle on the way the next day. Not only a great product but great customer service. Thanks Onnit. The Onnit MCT oil might just be one of the best MCT oils out there. It's important to remember that your body needs enough high-quality fat each day. Onnit products are definitely high-quality and worth considering when you are in the market for MCT oils. We suggest you give this product a try, we think you will not regret it.